People have asked me how I went about researching a historical novel. Here’s one example. Developing Elijah was a major challenge, both in my first and second novels. He appears in the Bible quite suddenly, a full-blown champion of justice, complete with miracles. All we know about his past is that he was from a town called Tishbe, in the province of Gilead. Moses, by contrast, has a childhood and plenty of motivation for his actions. You can understand why he loses his temper and kills an Egyptian, why he flees the country, and why he eventually takes up the cause of his people. In Jewish (and Christian and Muslim) tradition, Elijah can do no wrong. He orders his followers to kill the priests and priestesses of a rival religion, but all’s well, because the one true God wants it that way. My pagan friends, who subscribe to some variant of that rival religion, see Elijah as a villain. I don’t believe in angels, devils, or miracles, so I had to create a complex, believable human being. He needed a childhood. The province of Gilead was known for production of herbal medicines (the fabled balm of Gilead). In studying maps of the area, I found that it is also olive-growing country and gave his family a large olive orchard. But it’s not enough for a writer to say that her character makes a living from olives; she has to show him doing the work. The best source was History and Technology of Olive Oil in the Holy Land. 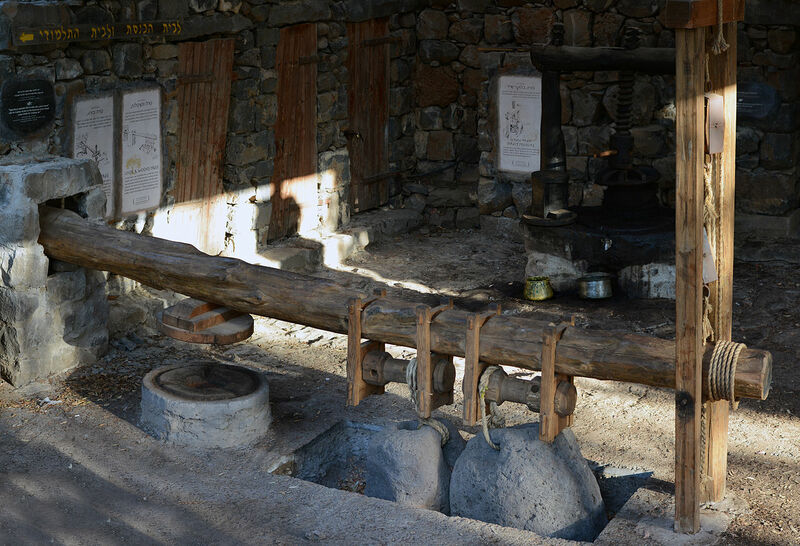 Of course the technology changed over time, so I had to decide what types of equipment and what methods of processing oil were most likely to prevail in the area during the 9th Century BCE. Then I could show Elijah rising in the damp morning, climbing on a primitive ladder, picking fruit or shaking it off the branches, and so on. Elijah is still mourning the death of his father. He and his mother and young aunt are preparing summer oil, an expensive product. Elijah squatted beside the mortar stone on the edge of the grove, tending the fire under the pot. Mama and Aunt Eglah stood on the mortar itself – a limestone shelf pocked with cup-shaped depressions – and pounded fruit. Fragrant green droplets glistened in the sun. It was the end of Etanim and would have been a lovely summer afternoon, except that Elijah had a hole in his heart and the pestles slammed into it like a gravedigger’s spade. Tsaduk the carpenter, who fought on the other side, comes through the trees. He proposes marriage to Eglah, and offers the rest of the family a home with him. “We already have a home,” Eglah said frostily. “It’s mine! You can’t have my inheritance!” Elijah threw himself at Tsaduk, who simply grabbed the boy and hurled him into the dirt. He jumped up and was knocked down again.